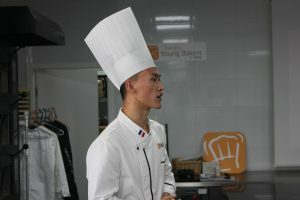 Shanghai Young Bakers > Blog > January without it? Impossible! 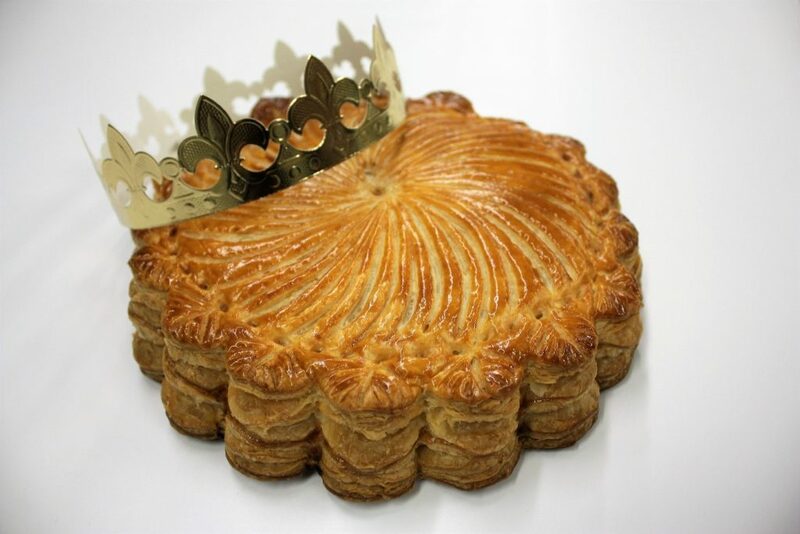 For both of them, January has another name: the King’s Cake month! 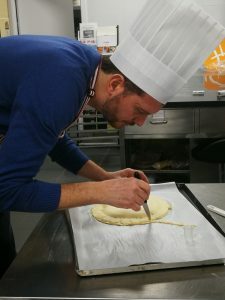 That is why we couldn’t end January without organizing a King’s Cake Baking Class! 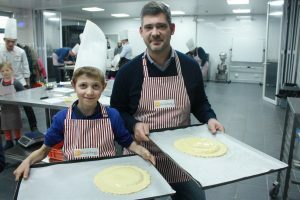 Three brave French families answered the SYB’s call (or was it the King’s Cake’s call? ), and had a great afternoon, baking and eating King’s Cakes altogether! 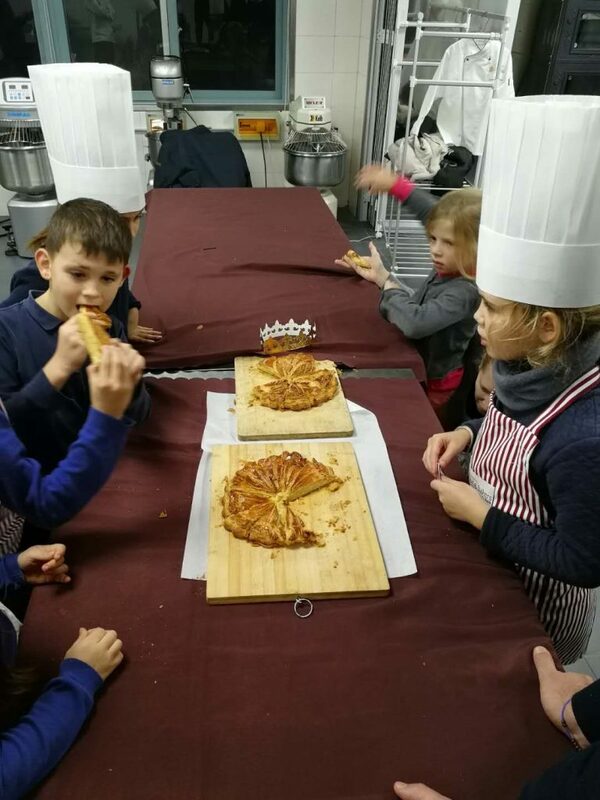 Under our French-speaking Teacher Liu Dong’s supervision, and his great assistant Sun Jinfeng, each family could go back home with several self-made King’s Cakes! 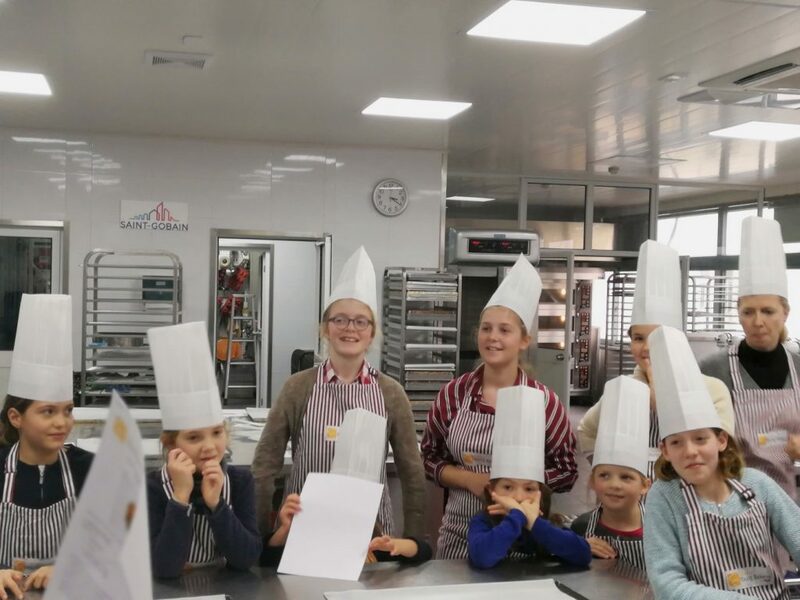 Second, everyone washes their hands, wears apron and hat, ready to bake! Fourth, now that we all know how to do it, let’s do it! Five, everything’s ready! Let’s put our King’s Cake in the oven, and have a snack meanwhile! Six, the King’s Cakes are ready! Hmmm, they smell so good! Seven, class is over, it’s time for a group picture! 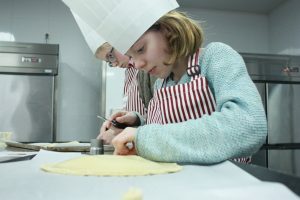 Eight, enough baking, let’s start eating! And that is how this great afternoon ended… How could I describe this Tailored Class in three words? Joyful, interesting, and sweet-smelling! 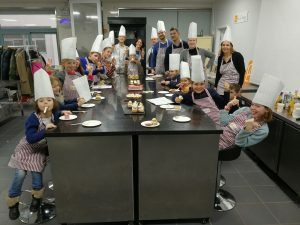 And the best of it: it’s all for charity! 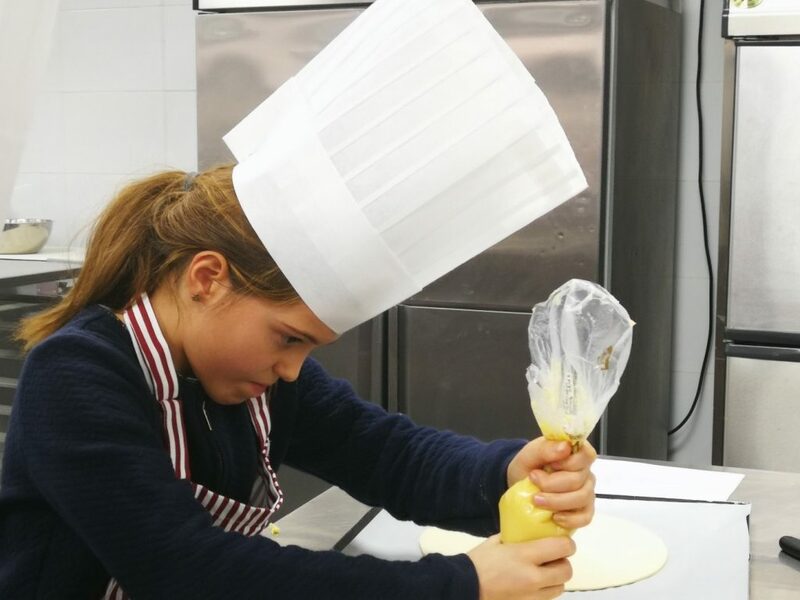 If you too are interested in having your own private bakery workshop, for which you can decide the day, the time, the place and the recipe, just contact us! 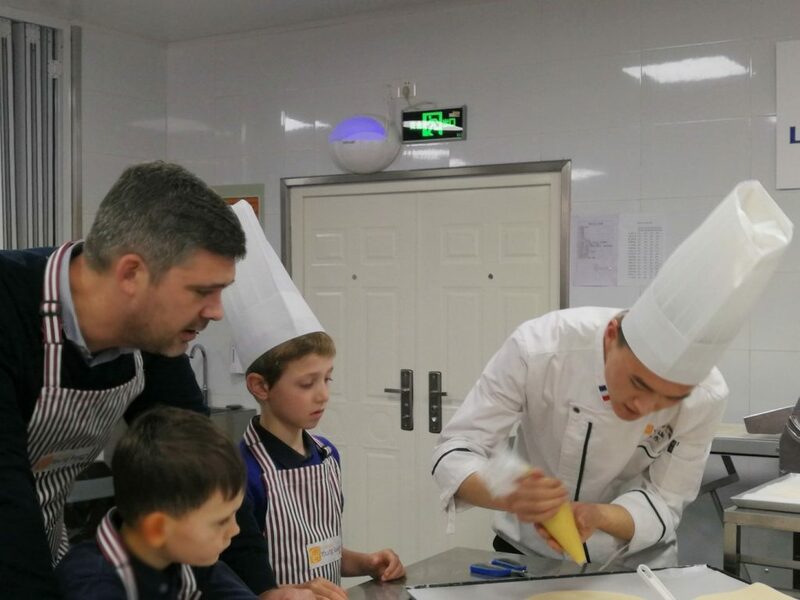 You too, try the SYB’s Tailored Class experience: a customized baking session for you and your loved ones having fun together, learning new recipes that you can try at home, while helping underprivileged young Chinese! Your ticket for the: January without it? Impossible!